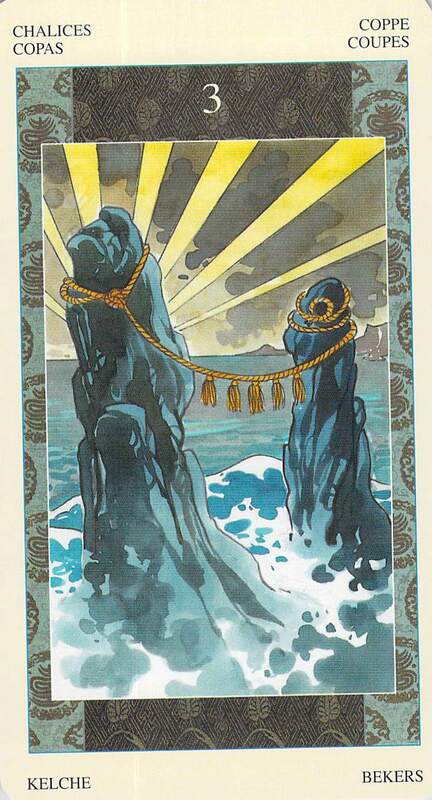 Three of Chalices, the wedded rocks at Futimagaura, from Lo Scarabeo’s Samurai Tarot. An ocean of love, and the sun rising. Will that ocean of love erode and shape these rocks over time? Of course. The people who love us want us to be happy, of course. And so it’s out of good intentions that they try to steer us toward “good matches” in love, and away from those who they perceive to be “bad for us.” Our parents would like us to marry (especially if we are female) partners who are “good providers” and who are stable. In fact, all those who love us would like us to find mates who will not present us with any challenges — people who will support us in every possible way and take care of us in our old age. How lovely. And that’s what we see, and think of, when we think about fairy tale endings and Cinderella stories. The couple rides off into the sunset and they live happily ever after. What if we weren’t put on Earth to live happily ever after? What if we aren’t meant to have lives that are as comfortable as possible? What if we are meant to face adversity and struggle and sometimes fail? What if the life partner who is right for us is the very person who will challenge us — the person who does NOT rigidly follow the same rules that we do — the person whose presence in our lives teaches us something? That something might not be, how to be just like him or her, but might even be something along the lines of how to be patient, how to be gentle, how to not judge, and also (because we were not put on this Earth to be doormats, I’m fairly sure) how to be independent and set appropriate boundaries at the same time that we gently refrain from judging. Over time, by the way, we may learn more than non-judging — we may learn that this person had something real to teach us that we could and should consider emulating. Who did Jesus hang out with? The people who were “good for him”? Apparently not or he wouldn’t have ended up on the cross. But, do we disapprove of his choices, or do we think that he did what he needed to do in the life he had to do it in? 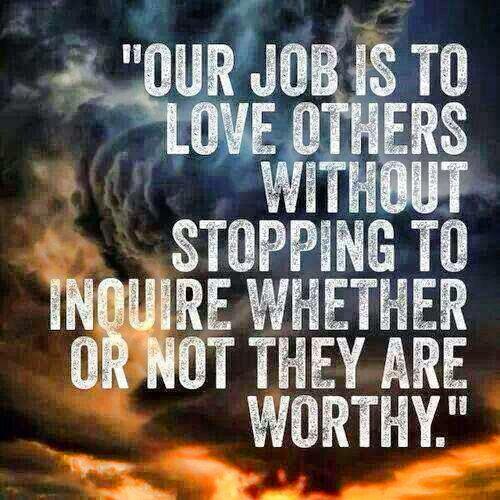 Ask yourself, whether or not you are Christian (and I am not) whether you’d prefer Jesus to have made safer choices. 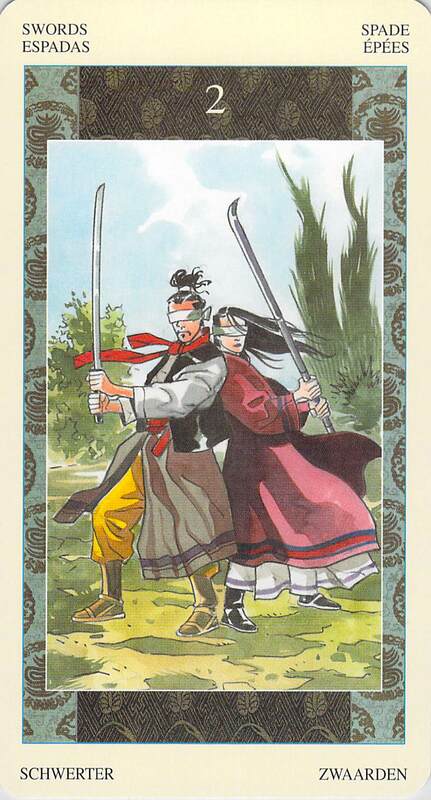 Two of Swords, from the Samurai Tarot. “Keep your mind focused. Be peaceful even in the heart of battle,” the LWB tells us. Or, I would add, even in the heart of love. is there love and commitment here? is there a deep heartfelt connection? is there a basis for a strong friendship that can withstand challenges and that can exist without the need for judgement? These answers matter much more than the question of whether there will be obstacles. There are always obstacles, and life wouldn’t teach us anything without them. That’s not to say that there are not bad relationships that should be left. But those are the relationships in which there is no love, not the relationships in which there are no challenges, no obstacles, and no mountains to climb. Do you see the difference? When I see a mountain, I don’t sigh and walk away. Instead, I sigh with relief. O Beautiful Mountains! Finally! I missed you! 🙂 But, I was raised by mountain climbers. Still, mountains, like life’s challenges and life’s challenging people, are gorgeous. They shape us and make us stronger, better people. They are not always insurmountable, and even when they are, sometimes it’s wonderful to live next to mountains — we don’t always need to be on the other side. *Quotes above are paraphrased–I heard them in audio format and can’t seem to find the original references. 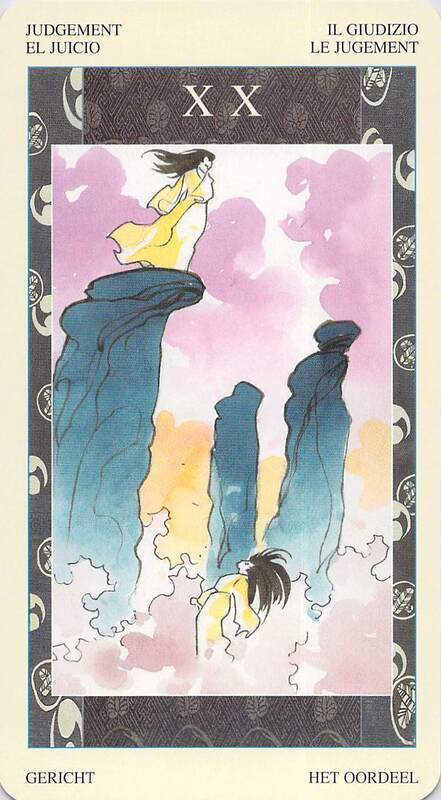 Previous Card Practice: What Will the Next Email I Receive Be About?